Buttons, Magnets, Key Chains, Mirrors and Zipper Pulls. 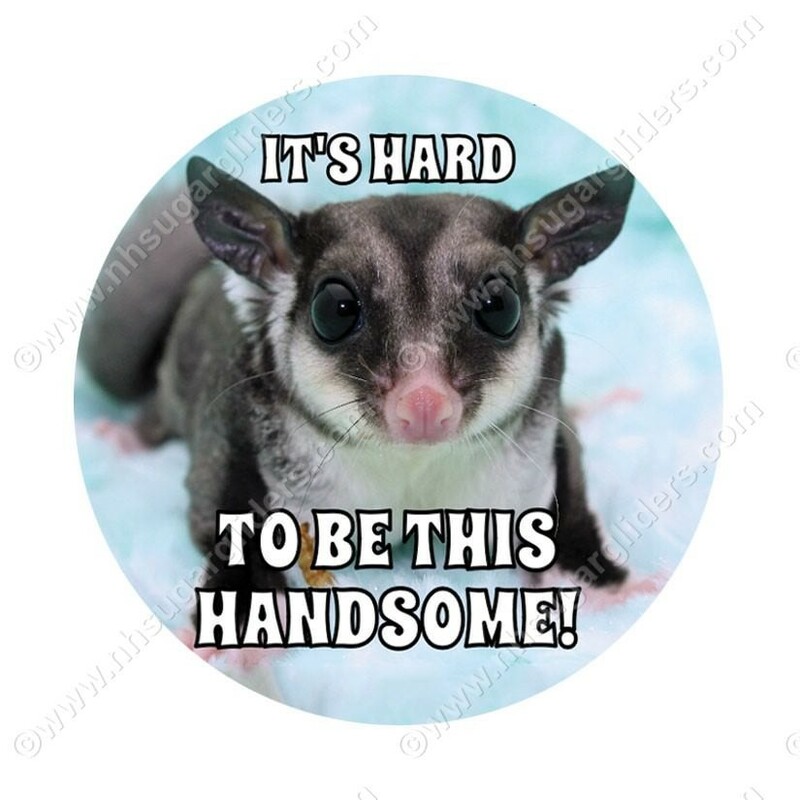 Looking for the perfect gift for someone who loves everything sugar gliders?? All original artwork and photographs and not available anywhere else, these images are available as a magnet, button, key chain or mirror. Magnets and buttons are available as 1" and 2.25" Key chains and mirrors are all 2.25", keychains are heavy duty metal backed with bonus bottle opener attachment. Actual product does not carry watermark. It's hard to be this handsome magnet, button, key chain or mirror.